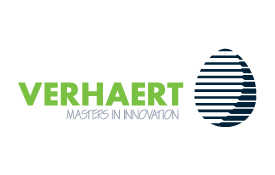 Verhaert Masters in Innovation offers integrated product innovation services. Over the last 40 years we have demonstrated our innovation potential in more than 500 new products resulting in over 100 patents. We have a customer-orientated organization focused on new products, systems and business innovation programs. Our unique approach maximizes the innovation potential by converging user needs & business requirements with expert understanding of and access to state-of-the-art technologies. We combine the power of a multidisciplinary range of engineers, scientists and business strategists. Our colleagues deliver their expertise in mechanics, embedded systems, mechatronics, industrial design, optics, mathematics, material science, as well as business strategies and the tools to deploy them. We help companies and entrepreneurs to innovate, creating new products & business based on space technology. As the Belgian broker in the European Space Agency’s Technology Transfer Network (ESA TTN), we have set up SpaceTechnology.be: a Belgian hub for space technology transfer. Our services within this project include opportunity scans, feasibility studies, and building demonstrators. As a national technology transfer initiative, we can provide these services co-financed by ESA and Belspo. Innovating with space technology has always been at the core of Verhaert’s operations ever since the start of the company. The former space division of Verhaert was spun out to the UK-based Qinetiq in 2009 and is now known as Qinetiq Space. Today we focus 100% on helping customers to innovate in all industries but maintaining a strong relationship with the space industry, searching for breakthrough innovation opportunities in non-space applications.